It's time for the "mainstream" to WAKE UP. The alarm clock is ringing, they keep hitting snooze, and in the meantime,the life they could be living is passing them by. The difference is that these people know their purpose, know WHY they absolutely HAVE to fulfill that purpose, and committ hemselves to never stopping until they realize their dream. They may or may not have thrown the accepted definition of "responsibility" out the window. The only thing that matters ultimately is that they now live lives they love, following their passions. 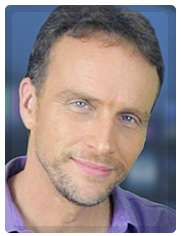 Bob Doyle is the CEO and founder of Boundless Living and the developer of the Wealth Beyond Reason program, which provides a continuing education of the physics of wealth, abundance, and joyous living through the Law of Attraction.